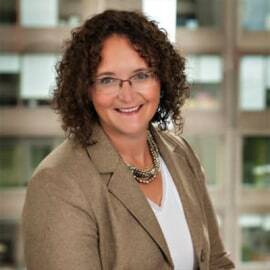 Shirley Speakman joined Cycle Capital as a Partner and is based in our Toronto office. Shirley was the Director of Investments for the MaRS Investment Accelerator Fund (IAF), a $40M+ venture capital fund established by the Ontario government to invest in seed and early-stage technology-oriented companies based in Ontario. As Director of Investments, she was responsible for investment recommendations and decisions, portfolio management, sourcing and partnering. Shirley continues to contribute to the MaRS Investment Accelerator Fund as an advisor on its cleantech investment committee. During her tenure at IAF, she oversaw investments in cleantech, successfully exited investments and assisted portfolio companies secure significant follow-on financing. Prior to joining the IAF, Shirley spent over 12 years advising biotech, ag-biotech and advanced manufacturing and materials companies in areas, such as strategy, finance, negotiations and fund raising. She spearheaded numerous financings and M&A transactions, and participated in the creation of a $40M cross border life sciences fund and the close of a Canadian-based $40M ag-biotech fund. Shirley holds her ICD.d (University of Toronto), MBA from Wilfrid Laurier University and a Bachelor’s of Economics from the University of Waterloo.